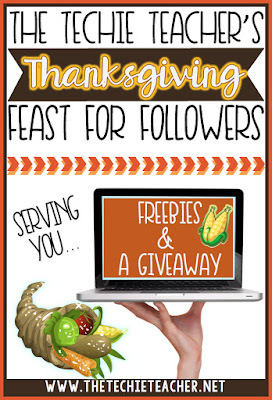 The Techie Teacher's Thanksgiving FEAST for Followers: FREEBIES & GIVEAWAY | The Techie Teacher® . Happy November! I am SO thankful for all of my wonderful followers and all of my blogging friends I have made over the years. Getting to know and interact with you via blog comments, Facebook, Instagram and Twitter has been overwhelmingly amazing. I love learning from YOU and hearing about your classroom experiences. I am hosting a Thanksgiving Feast for my followers throughout the month of November. My plan is to serve YOU a chance to win some of my favorite tech accessories (check out the end of this post) as well as offer a FREE resource each Friday throughout the month of November. Each item will remain FREE for 2 days only. I don't want YOU to miss a single one. 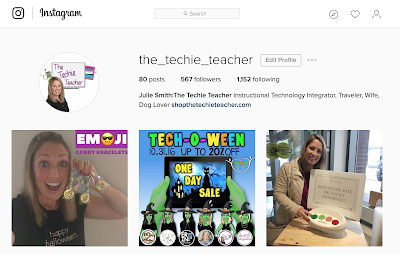 Be sure you follow me on TeachersPayTeachers by clicking the star so you are notified when the products are posted. I will also post announcement reminders every Sunday night on Facebook so make sure you follow me there! You might want to consider turning on notifications so you can be notified when I make a post. To do that, go to my Facebook page by clicking HERE. Under the "Liked" drop down menu select "See First" under In Your News Feed. You can always come back HERE each Friday to see what has been posted. 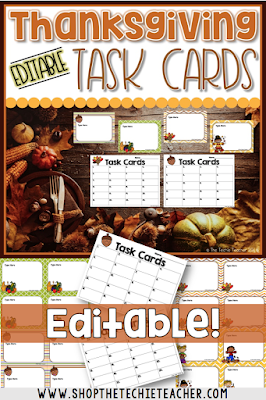 Use this EDITABLE product any way you wish for your classroom needs. This file comes in PowerPoint and you will be able to edit any of the text and choose your favorite fonts. 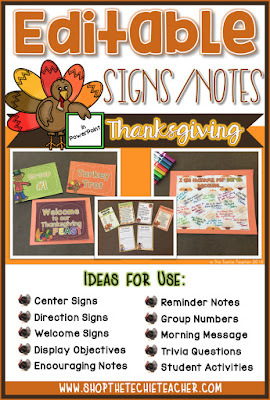 There is even an editable sign that you could use for a student activity. 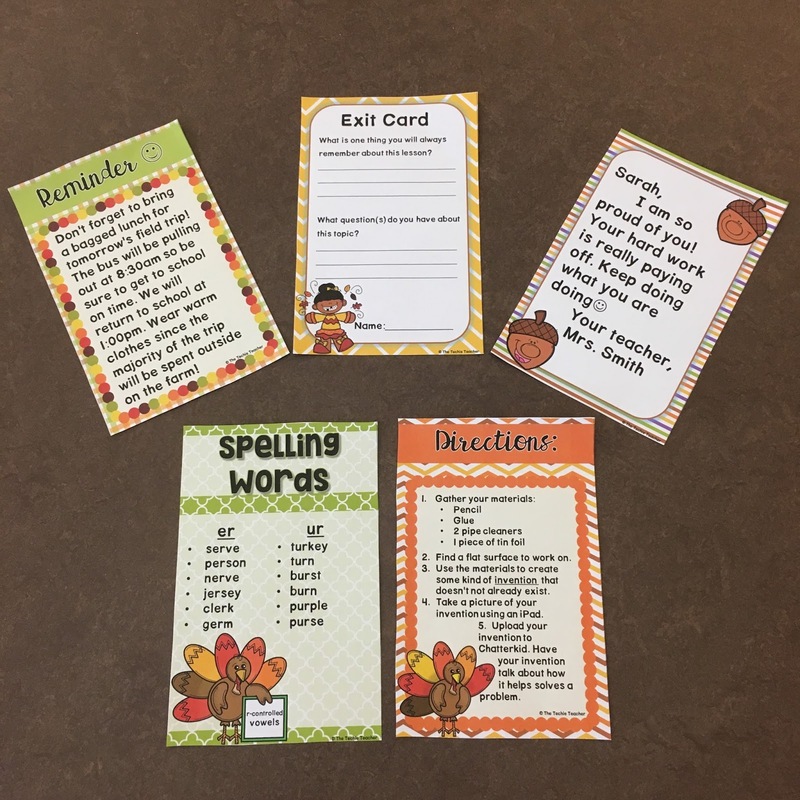 Type "I am thankful for __(student name)___ because....", print and then have students visit their classmates' sign to leave an uplifting message. Then students have a special poster to take home. 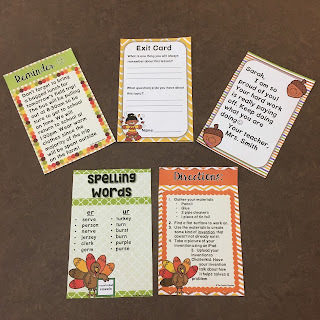 AWESOME way to build classroom community. Type in the text boxes, print, cut and use! Click HERE to take you to this product. 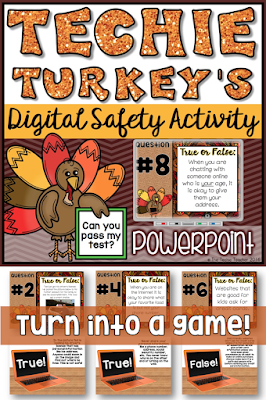 This PowerPoint presentation is all about digital safety. Have fun by turning it into a game! Slide #2 offers three different ideas about how you can use this presentation with your students to make it INTERACTIVE. 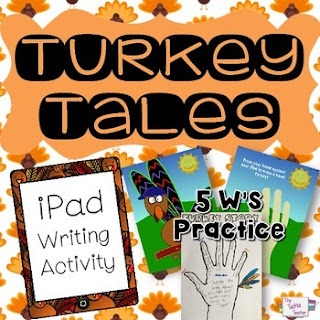 Can your students pass Techie Turkey's 10 question test? 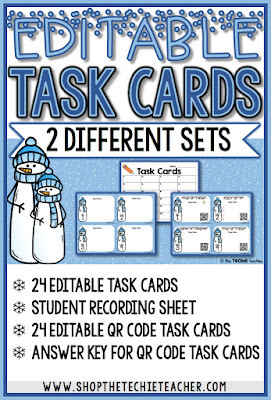 If you missed last weeks freebie then be sure to grab this week's freebie! It will be free for 2 days only. A students recording sheet is also included! 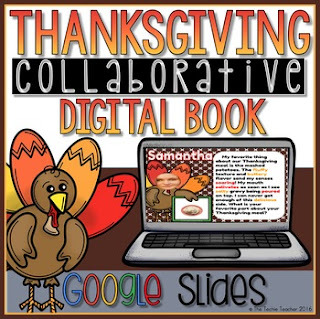 If you don't have access to iPads, I have a cute collaborative class book available in my TpT Store. It makes for a great writing assignment! It also makes an adorable bulletin board if you print out the slides! One lucky follower will win all of my favorite tech accessories that are pictured in my Amazon affiliate links below. Just enter the Rafflecopter! Thanks! Bummed to miss the first freebie,...loved those station signs. Love your products. Just received a class set of laptops, so will be looking for ideas. 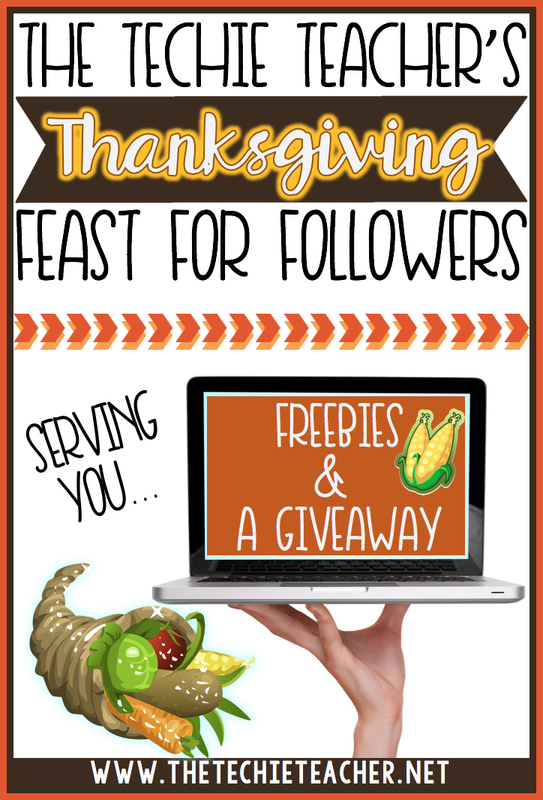 Wow, what a great giveaway and wonderful freebies!